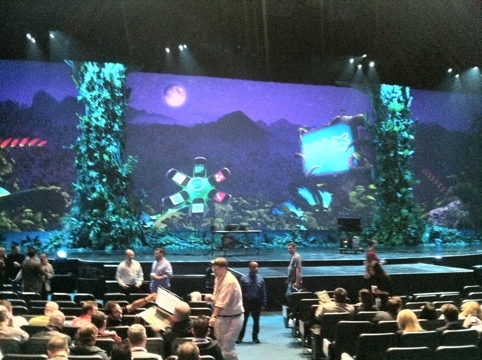 Our UI Designer Dan Robert and our Interactive Developer Arthur Oliveira had great seats during the keynote of day 2. 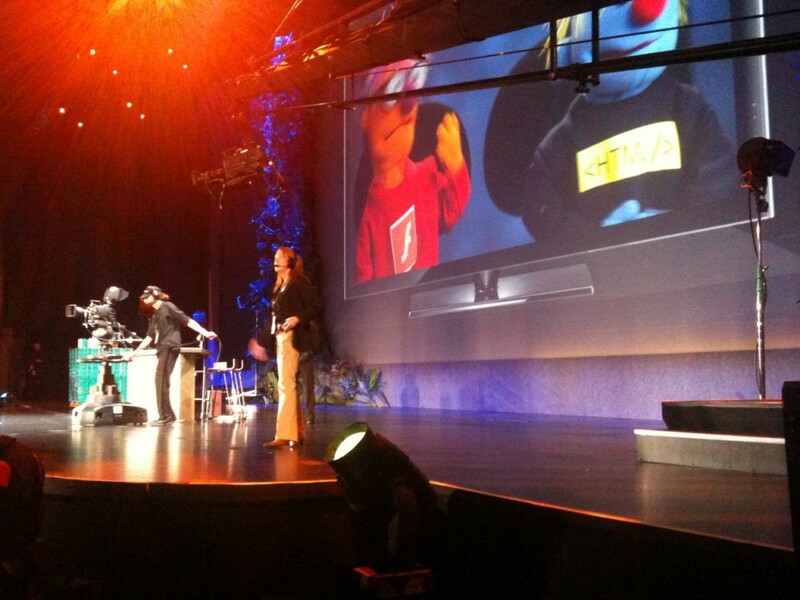 The Flash muppet vs (or plus) the HTML muppet! Very funny! 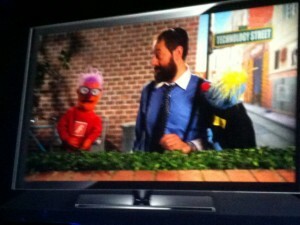 You should have seen the clip where the HTML muppet was smoking joint! 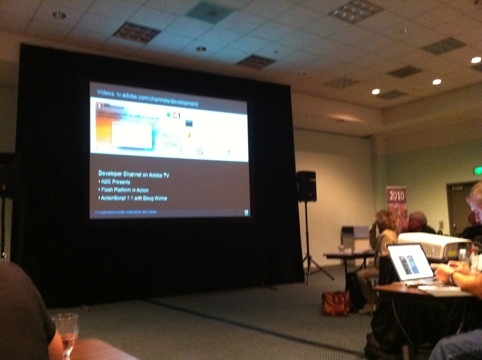 Adobe and jQuery collaborating on an amazing project to enable very rich jQuery stuff on mobile, using Dreamweaver. 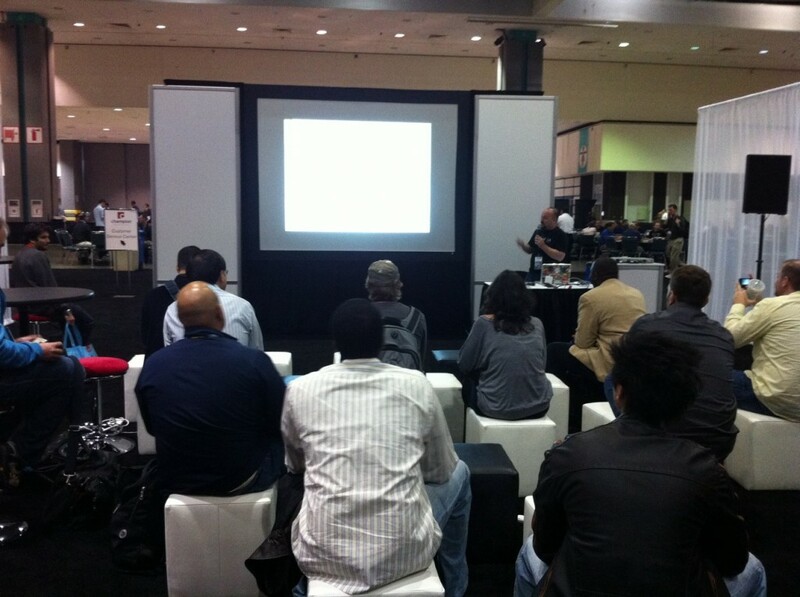 The iron builder show between 2 teams of developers and designers. 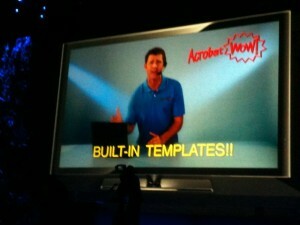 Acrobat WOW at the keynote of day 2. 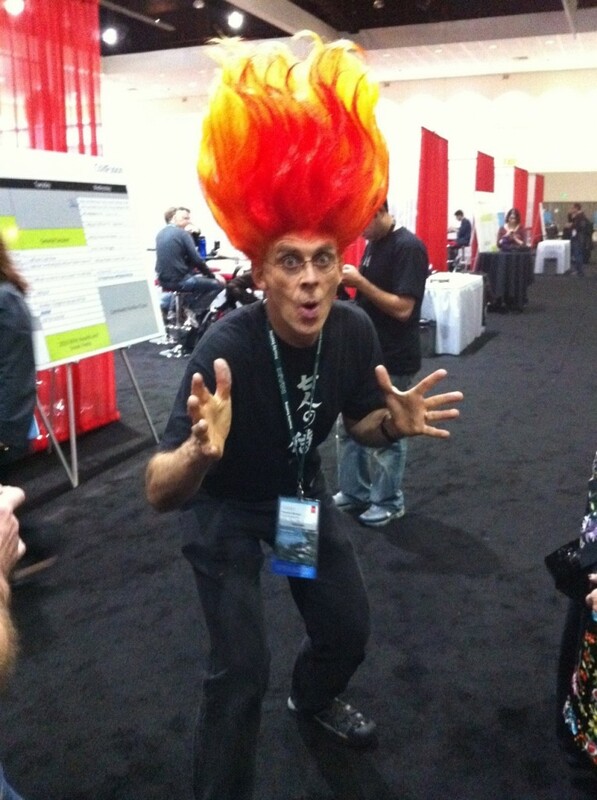 Russel Brown at Adobe Max. 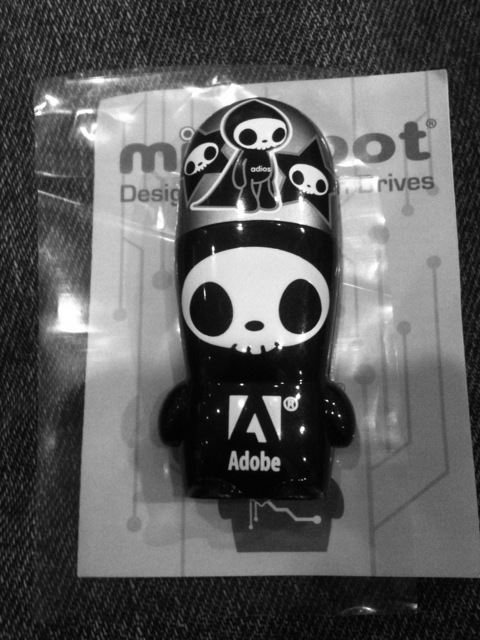 Tokidoki USB drive found on our conference bags. 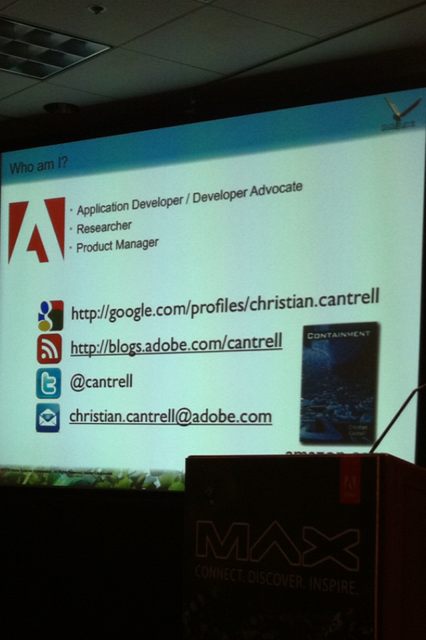 Follow this Adobe employee if you want to know more about mobile and the packager for iPhone and for Android. 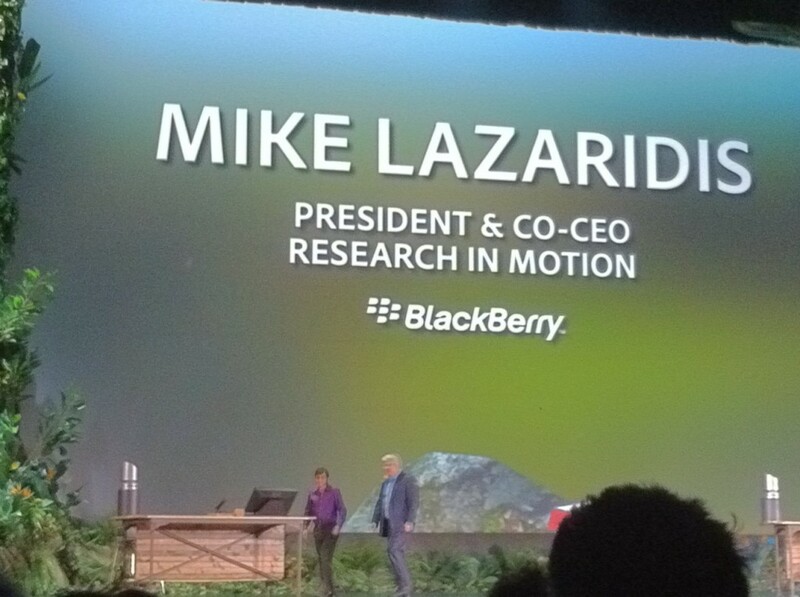 He did a great presentation on Monday. 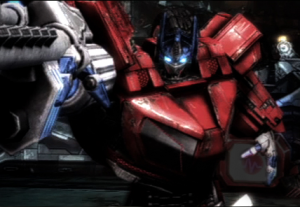 The support for the retina display on the iPhone 4 is coming to AIR soon, stay tuned! In the meantime, the workaround is to use TOP_LEFT and SCALE (to true) so that it works both on 3G iPhones and on iPhone 4s (that’s what we did on our surf app, shown in this blog on another post). 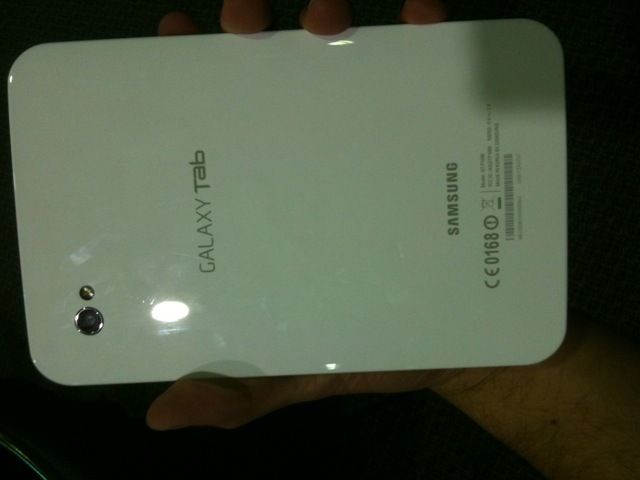 The Galaxy tablet from Samsung is super fast and responsive, but not that big. 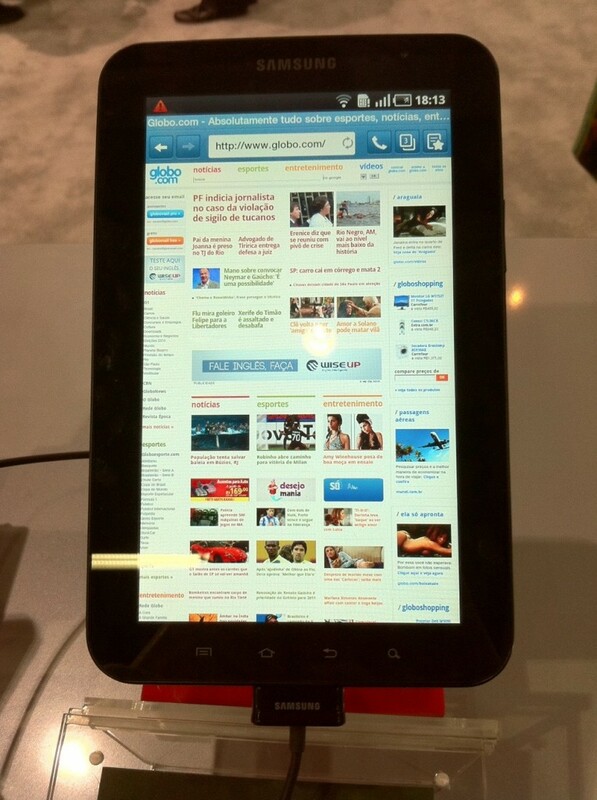 BlackBerry will launch the PlayBlook tablet soon, and we were pretty impressed to see that it is all AIR (the UI, touch, apps, etc). Talking to Arno (Director of Engineering of AIR), he told us that only a low level part isn’t (that uses a technology that was already present in cars, boats etc). 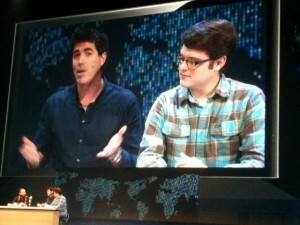 It’s great to see AIR enabling such a great experience on such a great device. 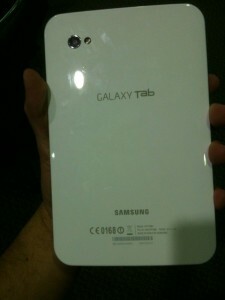 Can’t wait to get ours! 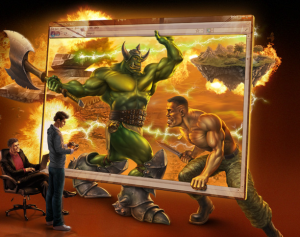 Joshua Hirsch (bigspaceship) and other SoDA speakers talk about the estimation process at digital agencies. 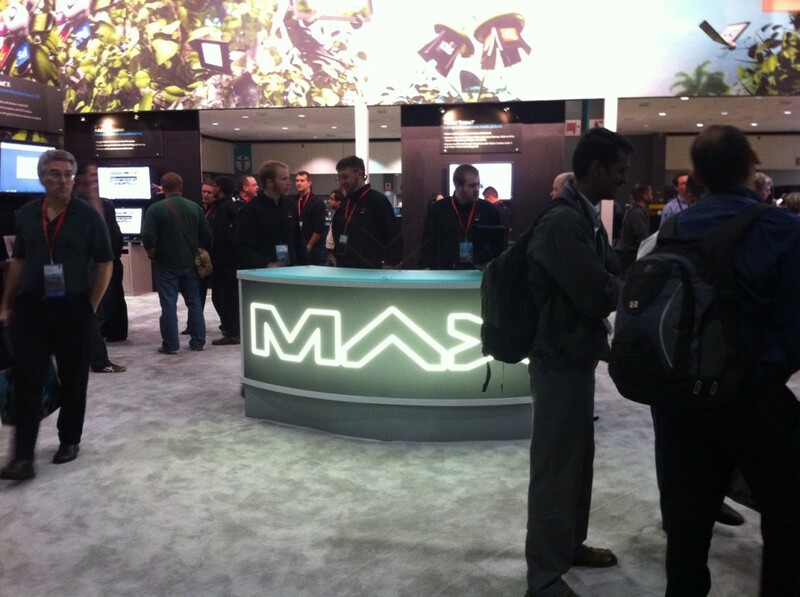 All Max attendees got a brand new Droid 2 phone. 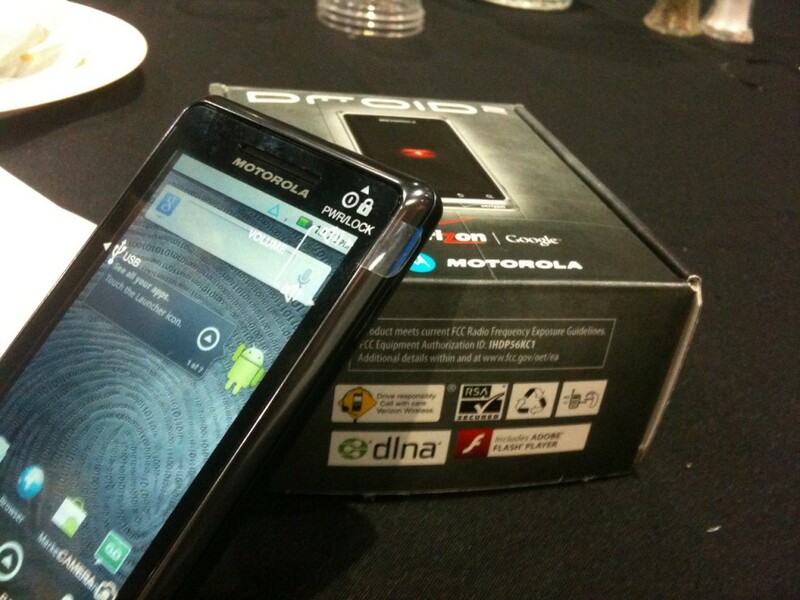 Thanks Motorola!! 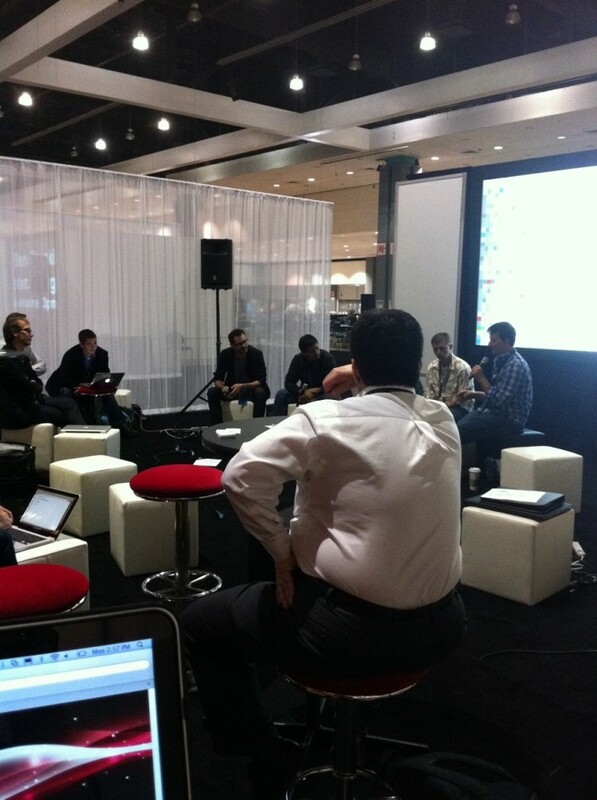 Our friend Leon talking about Brazil at the FITC booth. 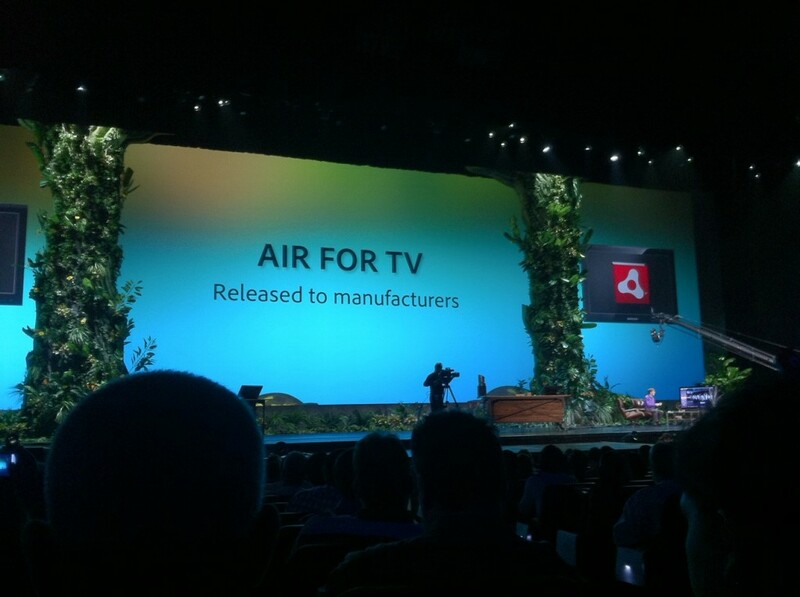 AIR for TV is now with the manufacturers, so expect to be able to develop Flash content for TVs as well pretty soon. 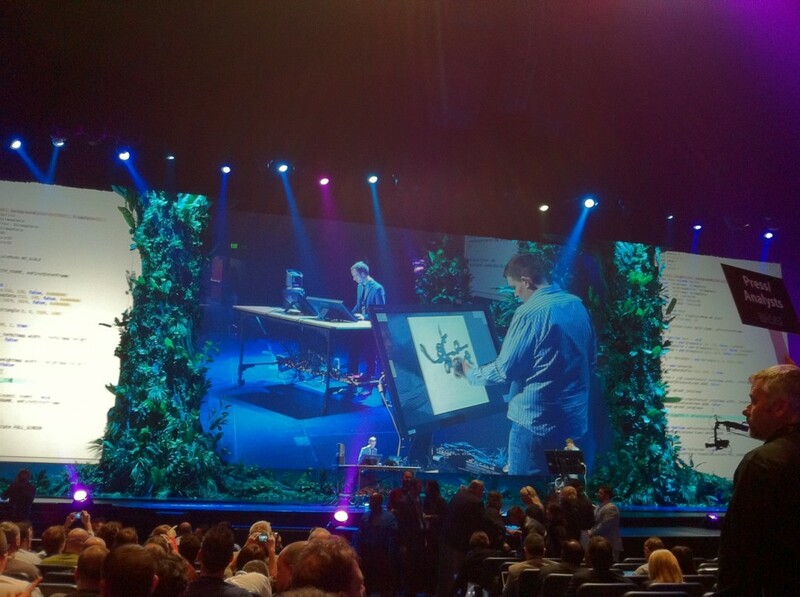 Drawing and coding in ActionScript before the keynote. DJ playing with a Flash application to mix the sounds live. 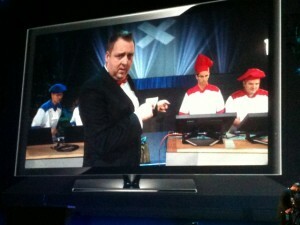 The new BlackBerry Playbook has its MediaPlayer, PhotoGallery etc, all done in AIR. 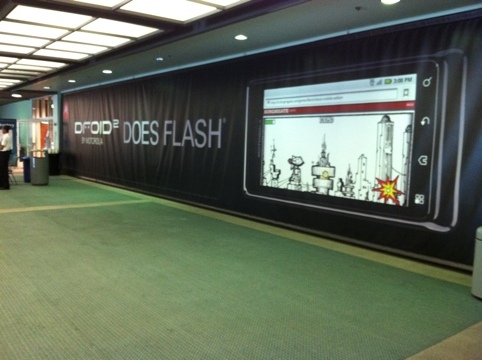 Flash developers will love it!! 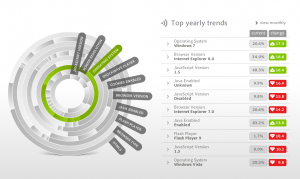 Adobe Cookbooks is a place where you can find code recipes. 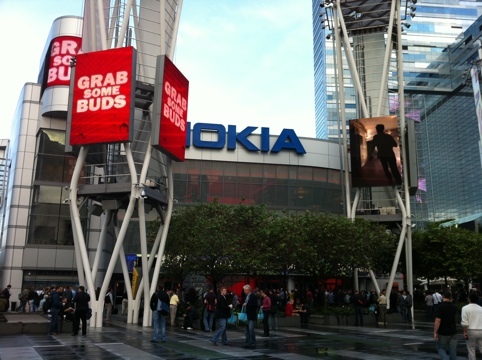 People are already waiting for the keynote in front of the Nokia theater. 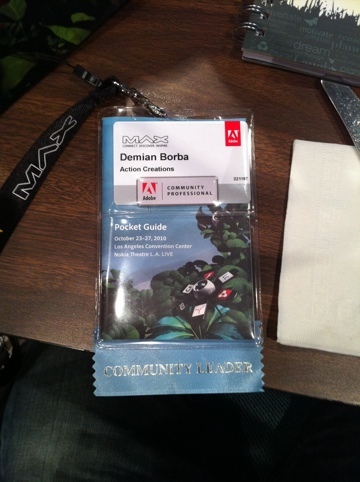 Adobe Developer Connection is accepting tutorials and papers. They are asking for feedback. Big camera filming the summit. The evangelists and product managers are talking about the fact they have people from all over the world are at Max this year. 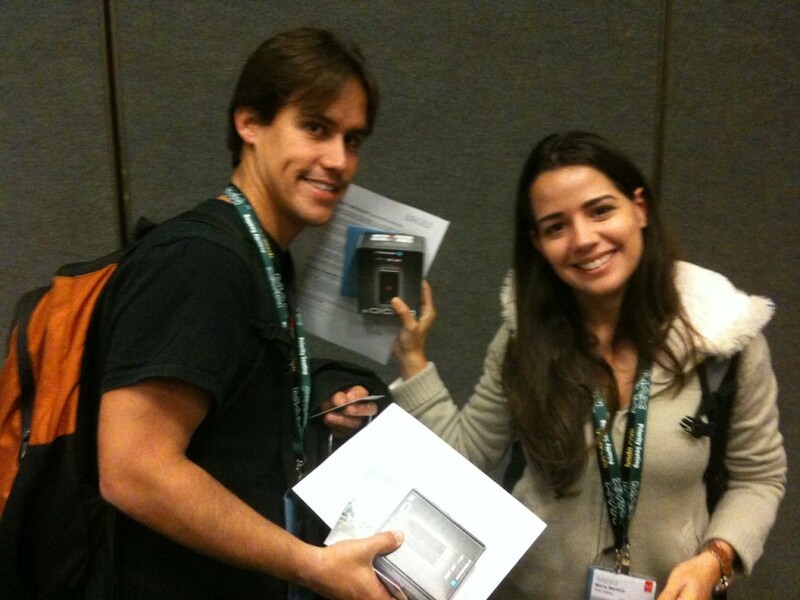 We just met our friend Leon from Brazil. 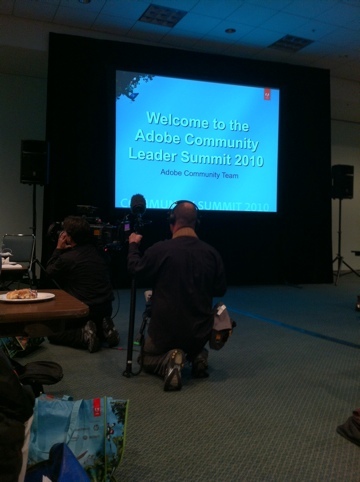 Big news for the adobe groups site, the new site is looking great, more like facebook, less like myspace. 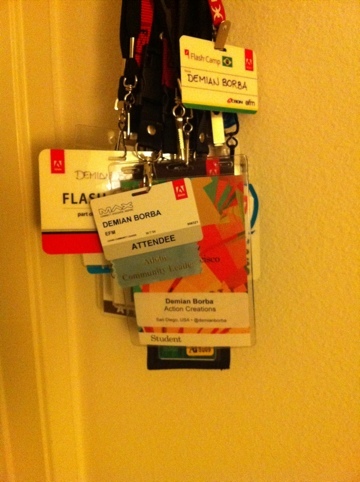 Badges in hands. 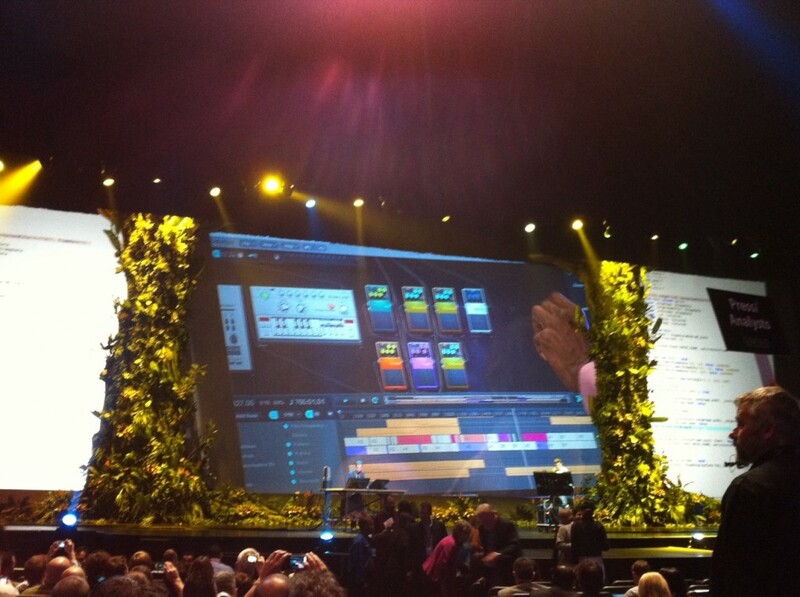 And we just heard from an Adobe employee that this year Max will be better than last year. 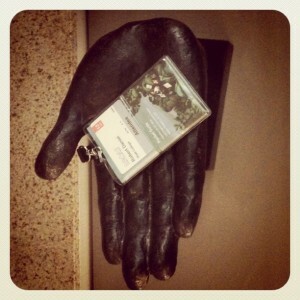 Here you will find pictures and news as the conference go. 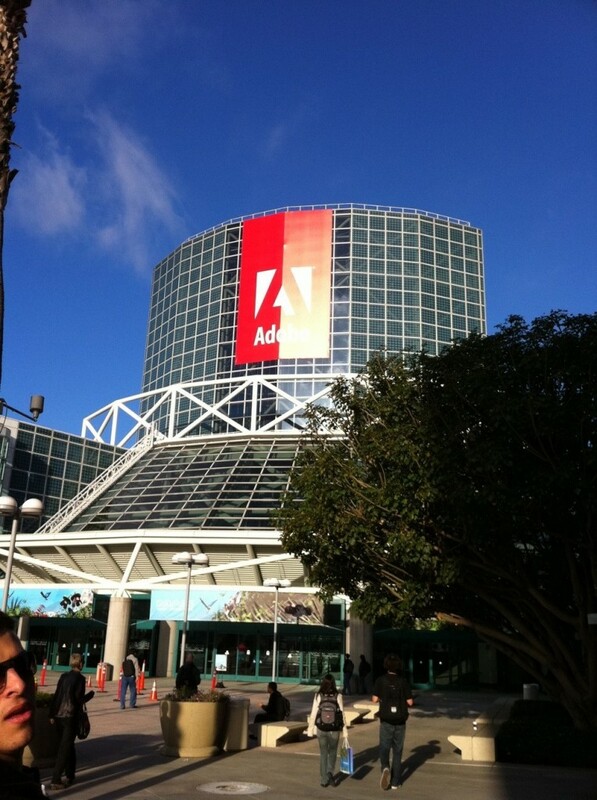 This post is filed under AdobeMAX.